The task force which is supposed to suggest additional special measures under the Graded Response Action Plan (GRAP) during air quality emergencies met today and made no such recommendation to the Delhi government while observing that pollution levels were already coming down. 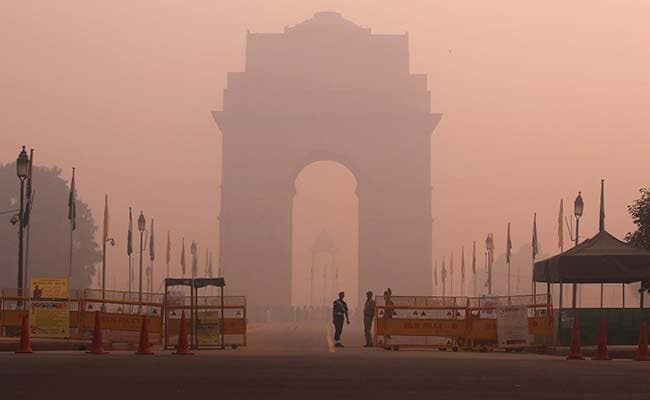 New Delhi: The Delhi government's decision to enforce the odd-even policy from November 13 does not have the backing of the Centre-appointed task force which recommends such action to be taken under the graded response scheme to tackle hazardous air quality requiring emergency measures. The task force communicated its position to the Supreme Court-appointed Environment Pollution (Prevention and Control) Authority, which is empowered to enforce the GRAP. "The task force, at this stage, is not making any further recommendations, and will meet again tomorrow i.e. November 10, 2017, to take stock of the situation," according to the minutes of the meeting of the task force, headed by the Central Pollution Control Board (CPCB). The task force observed that the current emergency situation is likely to prevail till tomorrow. However, subsequently anticyclone over Delhi will get weakened. "Moisture content is also expected to reduce. India Meteorological Department (IMD) said the pollution levels are expected to reduce from November 11 to 'Very Poor'," according to the document containing the minutes, a copy of which is with the PTI. The task force comprises representatives of the CPCB, Ministry of Environment, Delhi Pollution Control Committee, state pollution control boards, IMD, health experts and other stakeholders. The odd-even car rationing scheme will be rolled out in Delhi for five days from November 13 to tackle the alarming level of pollution in the city, Delhi Transport Minister Kailash Gahlot announced today.